It is easy to install– and with every step, you are closer to experiencing the speed and convenience of Big Bend Broadband. 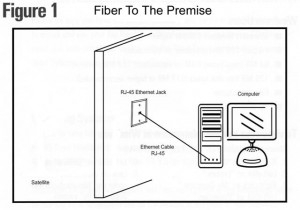 Take the one Ethernet cable RJ-45 provided by Big Bend Telephone, and use your fiber connection to connect to one computer (Figure 1) or to multiple devices via a router (Figure 2). *You must also have voice service with Big Bend Telephone in order to use Big Bend Telephone’s fiber Broadband Service. 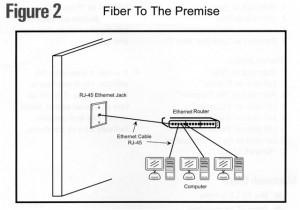 For you to be able to take full advantage of the transmission speeds that are enabled by Big Bend Broadband, your computer’s operating system should be Windows XP, Vista, Windows 7, or Mac OS 8.5 or higher. • 200 MB free disk space • Ethernet adapter or wireless adapter if you plan on connecting wireless.